The first week of school has been overwhelming. I'm not sure if it's been the same for you guys, but gee, I feel like there's so much to do already. I'm sure things will be better once Daryl and I are living in Utah County so we don't have to comute back and forth. By the way, Daryl got the job he applied for and we are so grateful! I'm so proud of him. Anyway, we took my outfit picture indoors because we forgot to take my camera to Utah County and by the time the we got home the sun was long gone. I've been really into over-sized sweaters the last couple of days since they're super comfy and go with pretty much anything. 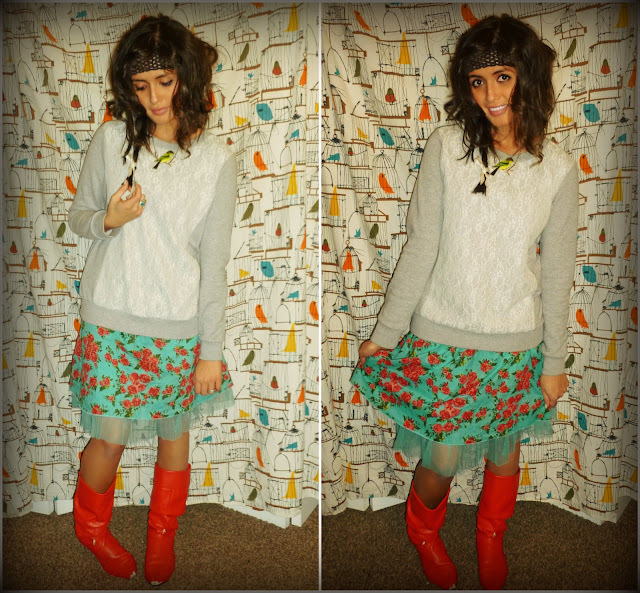 I decided to pair my favorite sweater with a bold skirt and my infamous old red boots. I've been doing all sorts of crazy hairdos since I got my hair cut last week. Just incase anyone is wondering, this is just curls and a side braid. I'm looking forward to this weekend I get to go to a friends baby shower and celebrate Daryl's birthday. Happy Friday everyone! i'm sure you've been so busy! hope things settle down soon. if it were as easy as just stopping by while you're at your parents' house, i hope you know that we would have already! and i'm sure the same goes for you. hope we can get together sometime soon though. if not, can't wait to hear about daryl's birthday (just yesterday that guy turned 22. crazy.) and i hope i get to see you by natalie's birthday.. which is on the 11th, by the way. the saturday after. just in case you two (and ti) were interested in joining us! love you! -just letting you know when the party is so you can request it off. invitations will be sent out too. maybe ti doesn't need to know so far in advance. and we'd invite your parents and even dakota but we really don't have enough room for even great grandparents. i'm sorry! you look beautiful!! gorgeous colors!! love the sweater and pretty skirt so much!! LOVE THEM!!! Love this whole look! I love this very throwback hippie inspired outfit. That necklace is to die for- I love it. This is my favorite look of yours to date! LOVE the outfit. Especially those red boots... 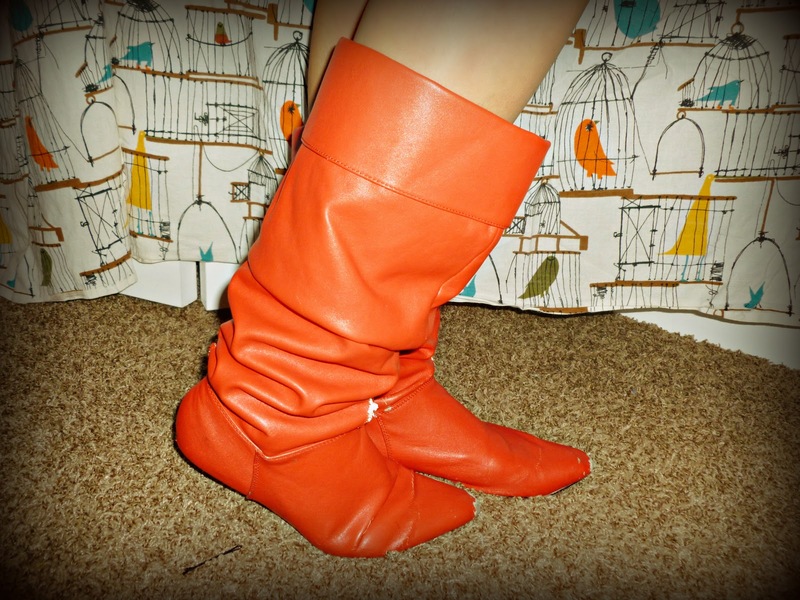 I don't know if you watch HIMYM, but those boots make me think of Ted's red cowboy boots, and the verdict is... pulling. them. off. Cute & fun style! I love it ! your outfit is adorable! Oversized sweaters are kind of like my favorite thing. Those orange boots are hot, love it! 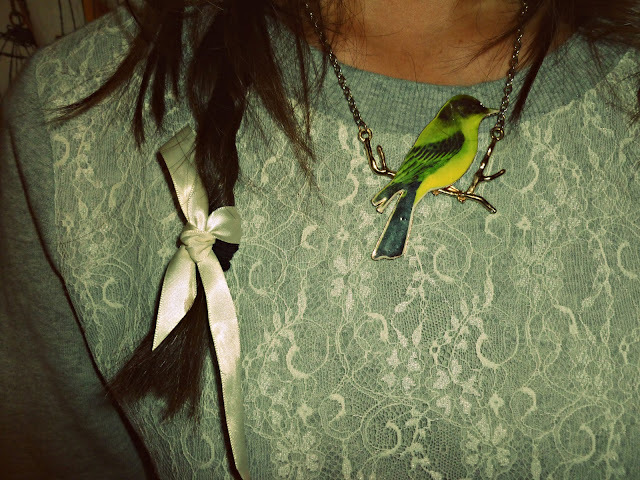 That skirt is so lovely, and so is your necklace! You always have such unique jewelry. Where do you find these pretty things? When I hear the words oversized sweater, I instantly think comfy. LOVE IT! 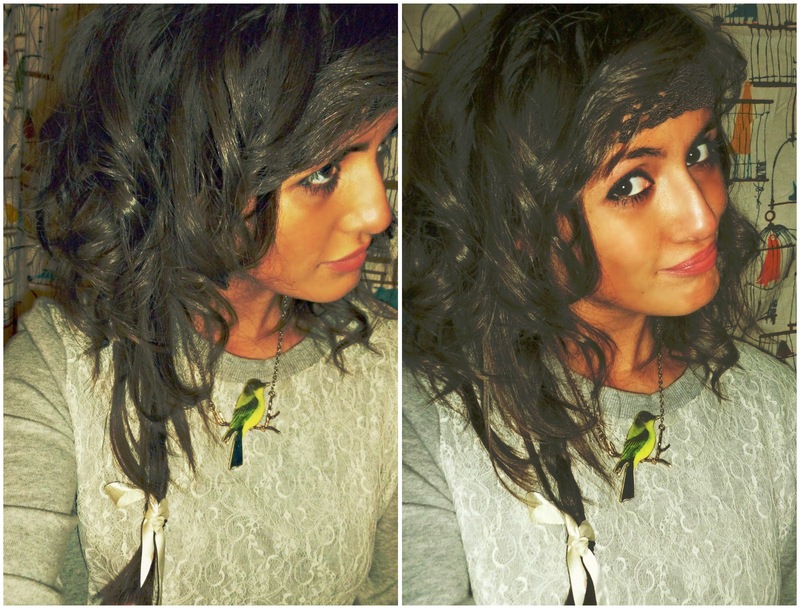 I love your bird necklace, so cute! The red boots are gorgeous too, all my boots are really boring black or brown! New follower here...I love this combination of colors! If you have a minute please stop by my brand new beauty/fashion blog! I LOVE YOUR SWEATER! I seriously am obsessed with lace, I actually just had a post all dedicated to my love for lace. your hair is so cute. sooo cute. and i love your boots.